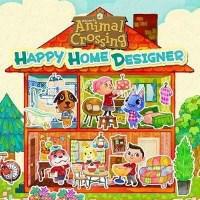 An Animal Crossing spin-off that plays like a standalone expansion - it’s an entire game based around a greatly improved version of the mainline games’ interior decoration mechanics. Villagers request homes in particular styles or moods, and occasionally you’re tasked with designing a public facility (such as a school) as well. It’s fun to play with the much more powerful design interface, even if content and mechanics are doled out slowly - you have to design several interiors before you gain the ability to design exteriors, for example. The game is also laced with the standard Animal Crossing warmth and charm, but it doesn’t lead up to anything - the Polygon review called it “shaping a world in which [the player is] never invited to live.” As such, I found it hard to want to stay with the game for long. I can’t help but feel I would have liked it so much more were it not standalone - if it tied in to Animal Crossing: New Leaf such that I could design homes for my neighbors and facilities for my town and then inhabit that larger, deeper world in all the small ways you do in mainline Animal Crossing . I Stopped Playing When: I completed seven design requests and didn’t feel like anything I’d done mattered. Partly because requesters are happy no matter what you do with their houses, but mostly because the houses felt completely disconnected. There was no sense of place or of a lived-in world.